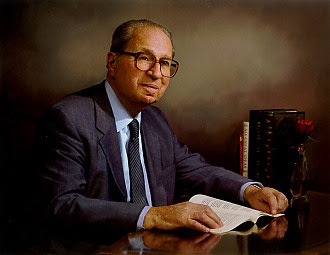 In order to fully understand what Mortimer Adler is talking about in his essay General Education vs Vocational Education, we must understand the historical and cultural context from which he is speaking. Modern readers who misunderstand this context are likely to misinterpret his intentions and thereby fail to see the logic behind his recommendations, which are still relevant to educational reform issues today. Adler was a philosopher enamored with the intellectual development practices of the ancient Greeks, whose “general education” wouldn’t be recognized as teaching or schooling by a modern American. The Socratic Method, for example, consisted of discussion and debate centered around literary works, both fiction and nonfiction as well as current events and even local gossip. “Classes,” if they could be called that, were informal, voluntary and there was no distinction between teachers and students; although occasionally some ideas were developed and considered important enough to warrant a speech, or transcription. Everyone learned from one another by asking questions and discussing the answers, either in formal debate or simple conversation. Participants were generally of a social class that exempted them from working and they’d gather casually under trees, in bath houses or even at taverns, for leisurely discussions. Adler, being a student of the ancient Greek culture, language and lifestyle, is more qualified than many other reform advocates to speak on behalf of the ancients when he says that “In the opinion of the ancients, education is the process of developing or perfecting human beings” (par 1). With that in mind, and his knowledge of The Socratic Method, Adler and other like-minded education reformers developed The Great Books program, which was a literature-based revival of Socratic-Platonic-Aristotelian pedagogy that encouraged educators to share the literature with children via reading and discussion in an effort to “cultivate the humanity of man by developing his specifically human excellences — both intellectual and moral” (par 1). Adler’s inclusion of the quote by Adam Smith, which even Adler referred to as “unduly grim” (par 6) was designed to elicit emotion from readers. Smith was actually arguing in defense of the construction and administration of public schools, which weren’t widespread throughout the country yet. Many citizens were skeptical of the state’s involvement in educating children and Smith’s argument was designed to inspire an attitude of approval for massive efforts to build and staff schools throughout the US. Adler used his words to argue against the vocational career training that was being implemented in public schools during his time, something Smith might have found surprising and objectionable, too. It’s important to note, however, that his words were removed from historical context, Smith knew nothing of the state-funded vocational education that so offended Adler.. In the 1960′s, when Adler argued against vocational education, he wasn’t saying that workers of specific and technical jobs shouldn’t undergo the training necessary to do their job well. Nor was he saying that vocational education made people less intelligent. He was saying that the education provided by the government shouldn’t be designed to create a workforce, but rather, an intelligent society. He was upset that teens were being trained for jobs instead of developing their humanity. Modern readers who understand that career knowledge is necessary, desirable and important for a large percentage of society may become angered by Smith’s quote and Adler’s dismissing of the value of a vocational education, but if readers were to understand that in many high schools, at the time of Adler’s writings, students were boxed into career training, without their personal consent or consideration, then they may begin to understand why Adler was so vehemently opposed to using public schools as a grounds for vocational teachings. At that time, girls were required to take cooking, sewing and other home economics type classes. Essentially, they were trained to be wives and homemakers. Later, secretarial courses like typing, filing and even switchboard operating were taught in high schools. Boys were placed in carpentry, auto shop, masonry or other courses that ensured they’d be prepared to get work as a blue-collar laborer. In communities where factories employed many adults, students were taught to use the machinery at school, so they’d be prepared to enter the workforce upon graduation. Very few students, at that time, were selected for the “University Track” as higher education was seen as a luxury. In Adler’s eyes, this was a crime against democracy. In a culture where everyone is created equal, the government schools should not be limiting anyone’s prospects for a bright future by deciding what career they were suited for. Many people embraced this method of offering job training in high school, and Adler’s essay was designed to impress the idea that these teens would graduate incapable of engaging in any other form of work. What appeared, to some people, as the blessing of guaranteed employability was, to Adler, like a prison whereby students were sentenced to a lifetime of ignorance, having never been allowed to exercise their mental faculties or develop thinking skills beyond adolescence. Modern readers who are unaware of the history of publicly funded, compulsory vocational education, which Adler resisted, may wonder why he’s so against job training, when in reality, he’s not. He just felt that it wasn’t the state’s job to serve industry by churning out worker bees. He and other reformers would rather have seen the schools serving the community as a whole, by creating an environment where each individual mind was able to grow and develop the same way great minds throughout history have done. Today, high school policies in the US aren’t designed to blatantly pigeonhole students into specific careers. Vocational training programs are still offered, in most areas, for students who choose specific careers. Overall, however, students in the US generally graduate prepared to enter at least a community college, even if they’ve chosen a vocational program. Adler’s vision of a general education is incomprehensible to modern readers who don’t understand the way ancient students went about learning. His criticism of job training within public schools is interpreted as a slam against specialized career training in general, because modern readers define “vocational education” differently than Adler did. Furthermore, the way children are taught in schools today may appear to be “general,” but is, in fact, not at all what he had in mind when he favored a liberal approach. Therefore, his essay is misinterpreted by the modern readers who fail to understand his premises and, therefore, are incapable of evaluating his perspective. Adler, Mortimer J. “ADLER ARCHIVE: General Education vs. Vocational Education.” The Radical Academy. Web. 12 Aug. 2010. . This entry was posted in Uncategorized by Lisa. Bookmark the permalink. We are a not-for-profit educational organization, founded by Mortimer Adler and we have recently made an exciting discovery–three years after writing the wonderfully expanded third edition of How to Read a Book, Mortimer Adler and Charles Van Doren made a series of thirteen 14-minute videos, lively discussing the art of reading. The videos were produced by Encyclopaedia Britannica. For reasons unknown, sometime after their original publication, these videos were lost. Three hours with Mortimer Adler on one DVD. A must for libraries and classroom teaching the art of reading. I cannot over exaggerate how instructive these programs are–we are so sure that you will agree, if you are not completely satisfied, we will refund your donation.